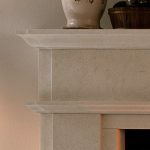 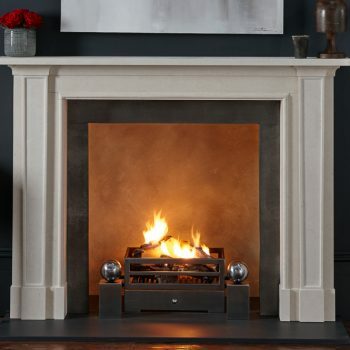 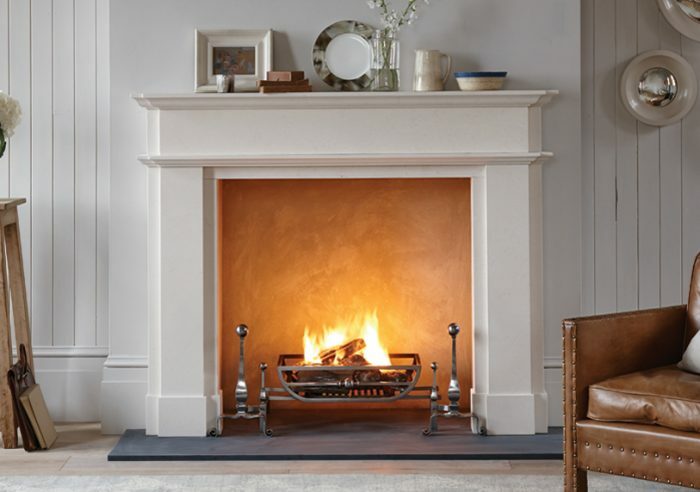 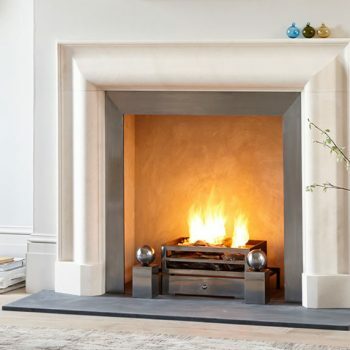 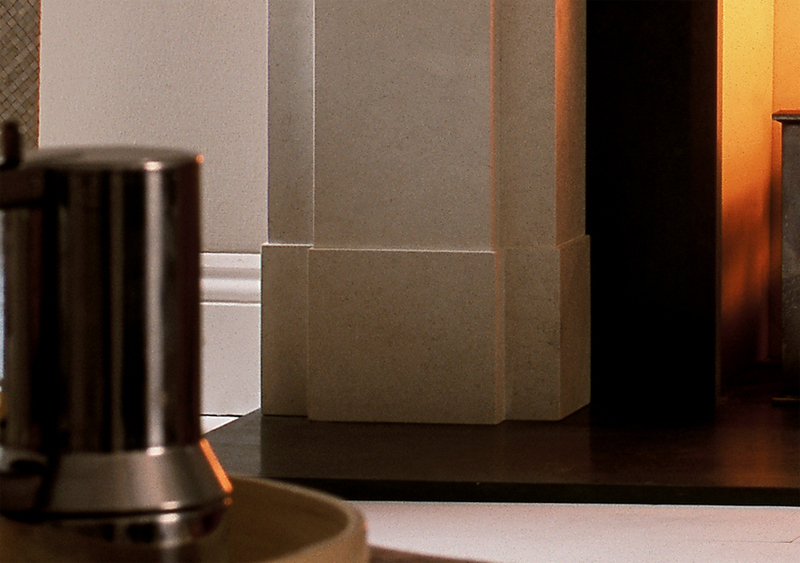 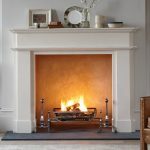 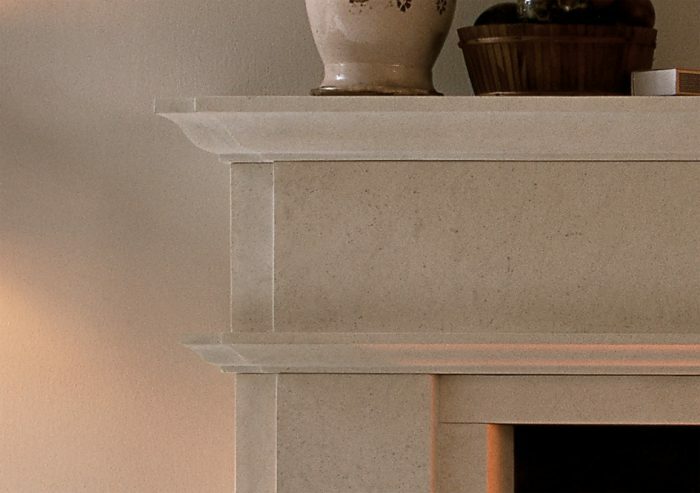 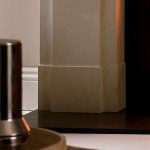 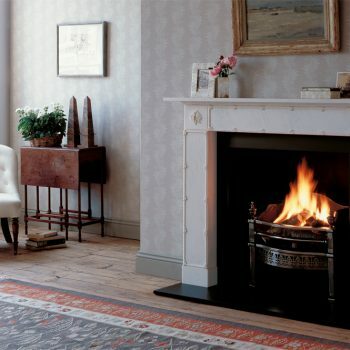 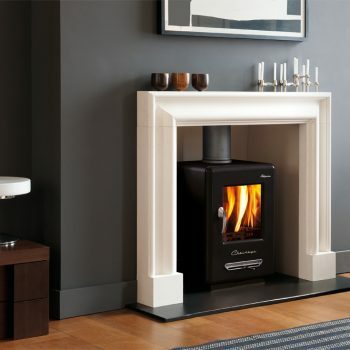 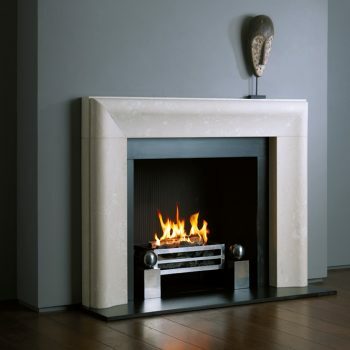 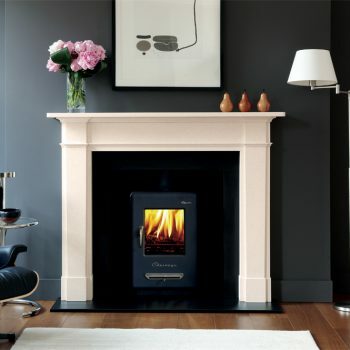 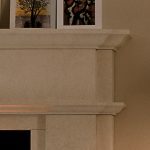 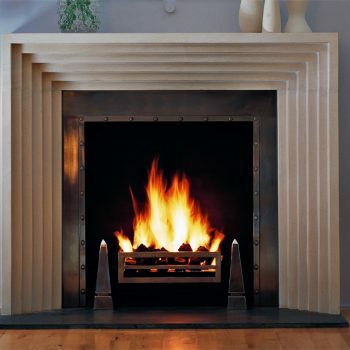 Chesneys Alhambra fireplace is a traditional design with a contemporary twist. 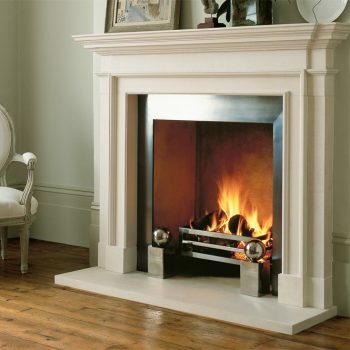 It’s larger than many fireplaces with a strong architectural form. 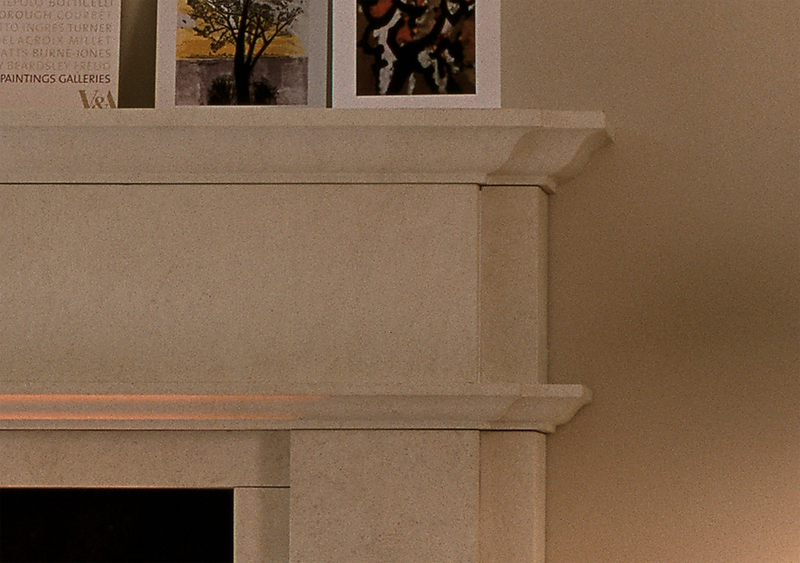 Shown with the Morris fire basket for dogs with Burton andirons and black slate hearth.